I wandered into Amoeba in Hollywood today and upon browsing the clearance section I found a gem. 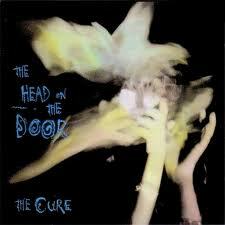 That gem was The Cure's "The Head On The Door", which I fell in love with. This album clearly is different from the many innovative albums that The Cure created in the 1980's. My favorite tracks were: In Between Days, Kyoto Song, The Baby Screams, Close To Me. I can't musically pinpoint why I thought this album sounded so different, but I can only say that it sounded upbeat and free. The tone seemed to be that of a band experimenting various forms of music while keeping in tune with the particular "Cure" sound. For me this has become a delight to listen to and highly recommend the ecstasy.